Coming hot on the heels of Yorgos Lanthimos’s The Favourite, another self-styled feminist period drama enters the fore in Mary Queen of Scotts. Chronicling two of England’s most tenacious rulers, the film examines the relationship between Mary Stewart (Saoirse Ronan) and Elizabeth I (Margot Robbie) during the 1569 Northern Rebellion, in which Catholic nobles from the North of England unsuccessfully attempted to depose the protestant Elizabeth. While delving into the complex political landscape, the script also frames the two Queens as two sides of the same coin whose division comes as a result of the sexist limitations of the time, as well as the unscrupulous machinations of the men around them. The film has received positive to mild reviews, with many criticising the script’s simplification of complex historical events to amp up drama, while praising both Ronan and Robbie for their dominating performances. 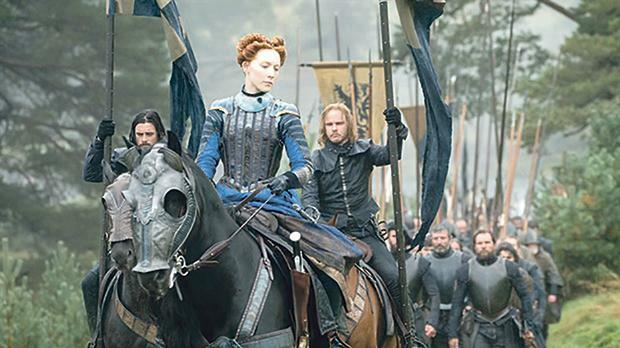 “Mary Queen of Scots is a tawdry soap opera that insists it’s an intelligent political thriller,” writes David Sims of The Atlantic. Mark Kermode, of the Observer, has a more forgiving take, saying “very occasionally the theatricality becomes overwrought”. “A bizarre, ahistorical read married with the intermittent stabs at a boardroom’s idea of millennial values that render Mary a kind of nothing of a film,” writes Emily Yoshida of Vulture. Beautiful Boy is a harrowing biographical drama, retelling journalist David Sheff’s titular memoir, as well as that of his son, Nic Sheff, on the descent of Nic’s addiction to methamphetamines and subsequent recovery. The father-son relationship of David (Steve Carrell) and Nic (Timothée Chalamet), his son from his first marriage, is pushed to breaking point as he supports Nic through his addiction, while bringing up a new, younger family. Chalamet’s Nic is fiercely independent and self-aware, while Carrell’s David dominates screen time as an embattled father struggling to figure out where he went wrong. Critics have praised both Chalamet and Carrell for their raw and emotional performances that carry over the film’s muted emotional impact. “Addiction isn’t always a reaction to real-life traumas,” writes Peter Travers of Rolling Stone. “This movie really puts you through a wringer. But it’s the two leads who, thanks to their astonishing, ripped-from-the-guts performances, make Beautiful Boy a standout. “Van Groeningen creates a tapestry of flashbacks, here of father and son at different, more intimate stages of their lives,” says David Edelstein of Vulture. “Drug addiction is everyone’s problem,” writes Peter Bradshaw of The Guardian. Second Act sees Jennifer Lopez return to the big screen as Maya, a hard-working and long-suffering megastore assistant manager, who gets passed over for a promotion that should be rightfully hers, due to her lack of a college degree. Overhearing her woes, her godson buffs up her resume and sends it to a number of high ranking brands, landing her a coveted job at a high-end consumer product manufacturer in Manhattan. The rags-to-riches story has a rather muddled execution but sees Lopez as charming as ever in the leading role. “Even though Second Act shouldn’t work, it does,” writes Owen Gleiberman of Variety. Second Act opens in Malta on Friday.